FOB Loyalty, Iraq – Pfc. Derrick Durham, with Company F, 2nd Battalion 30th Infantry Regiment, 4th Brigade Combat Team, 10th Mountain Division, MND-B, conducts a pre-combat check on his truck at FOB Loyalty, Oct. 22. This is Durham’s first deployment overseas. Durham, from South West Harbor, Maine works as a truck driver who distributes and secures products and equipment to different areas in Baghdad. FOB Rustamiyah, Iraq – Sgt. 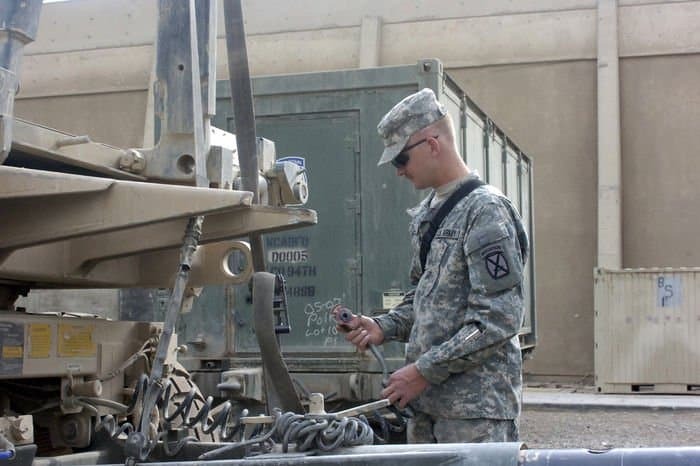 Michael George, a Soldier with Company F, 2nd Battalion 30th Infantry Regiment, 4th Brigade Combat Team, 10th Mountain Division, MNational Division – Baghdad, initiates a pre-combat inspection of his vehicle in the 2nd Bn., 30th Inf. Regt. motor pool at FOB Loyalty, Oct. 22. George, a Cleveland native, deployed previously to Afghanistan before this deployment. 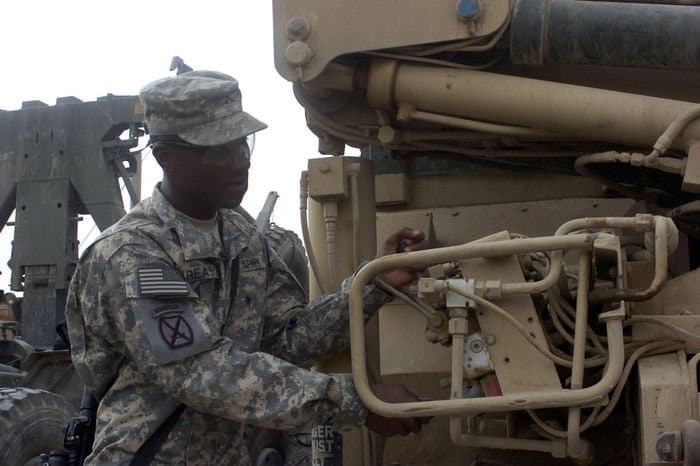 As part of his duties, George conducts maintenance on his units trucks. FOB Loyalty, Iraq – Spc. 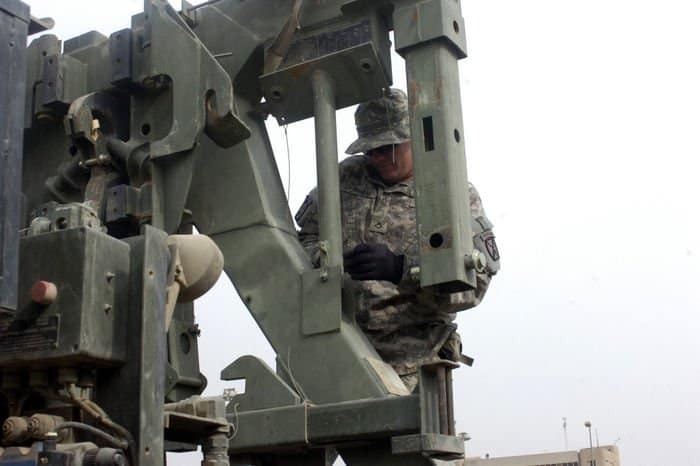 Ryan Pengelly, with Company F, 2nd Battalion 30th Infantry Regiment, 4th Brigade Combat Team, 10th Mountain Division, Multi-National Division – Baghdad, executes a pre-combat inspection of all the gear located on his vehicle in the 2nd Bn., 30th Inf. Regt. motorpool, Oct. 22. Pengelly, a Kalispell, Mont., native, is currently deployed for the second time in his military career. His first deployment was to Afghanistan. FOB Rustamiyah, Iraq – Pvt. Tommy Reason, a Soldier with Company F, 2nd Battalion 30th Infantry Regiment, 4th Brigade Combat Team, 10th Mountain Division, Multi-National Division – Baghdad, conducts a pre-combat check on his truck at FOB Loyalty, Oct. 22. 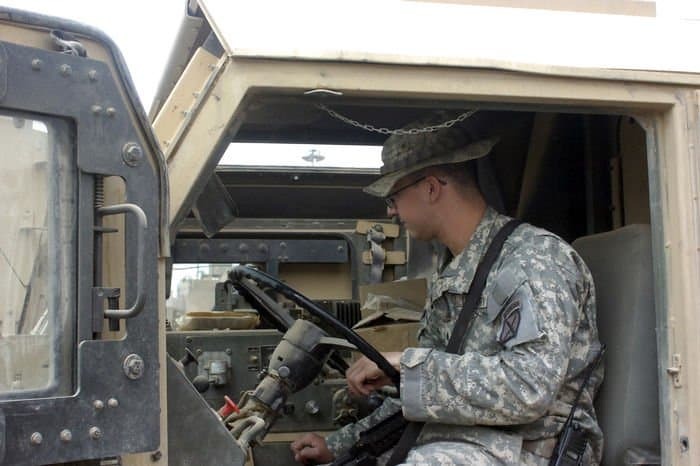 Reason, a Sherman, Texas native is a truck driver who in addition to daily maintenance on the trucks also helps move food and supplies between bases. FOB Loyalty, Iraq – Spc. 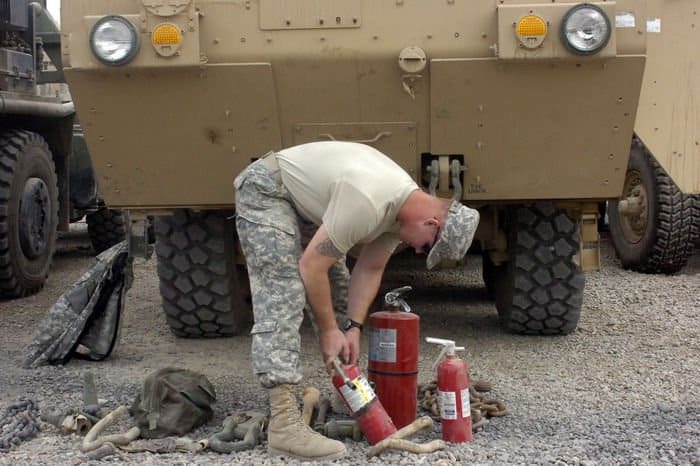 Hoytt Whittington, with Company F, 2nd Battalion 30th Infantry Regiment, 4th Brigade Combat Team, 10th Mountain Division, Multi-National Division – Baghdad, inspects fire extinguishers in trucks at the 2nd Bn., 30th Inf. Regt. motor pool at FOB Loyalty, Oct. 22. Whittington a Leesville, La. Native, is currently deployed for the fourth time in his career. 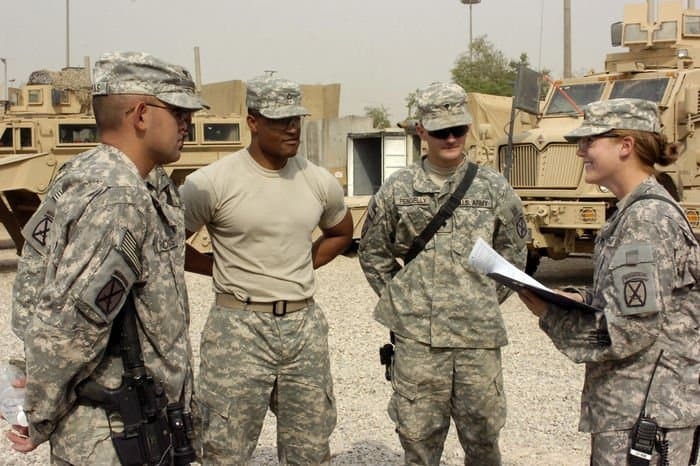 FOB Loyalty, Iraq – Raine, with Company F, 2nd Battalion 30th Infantry Regiment, 4th Brigade Combat Team, 10th Mountain Division, MND-B, in a briefing at FOB Loyalty, Oct. 22.